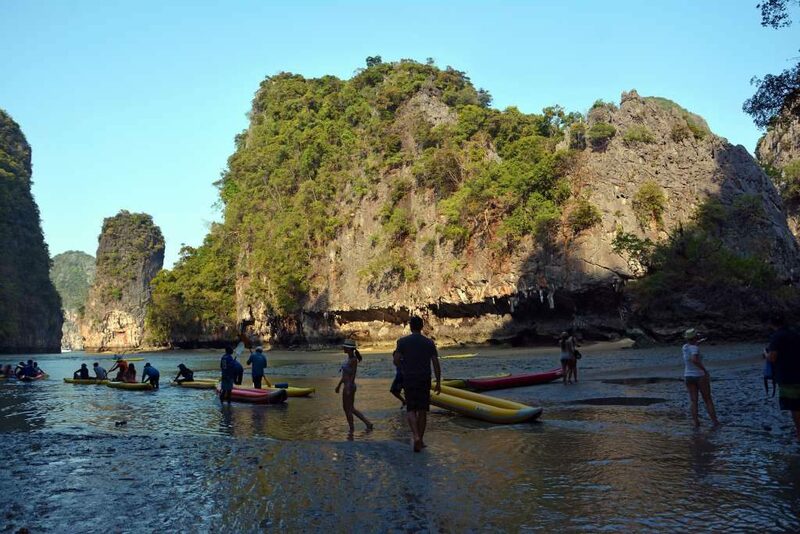 Phang Nga Bay Sea Canoe Adventure including visit at the famous James Bond island. 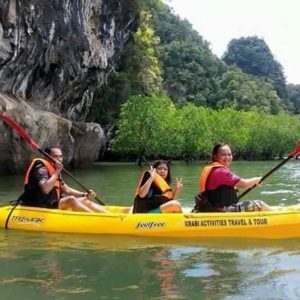 daily Tours from Krabi into Phang Nga Bay. 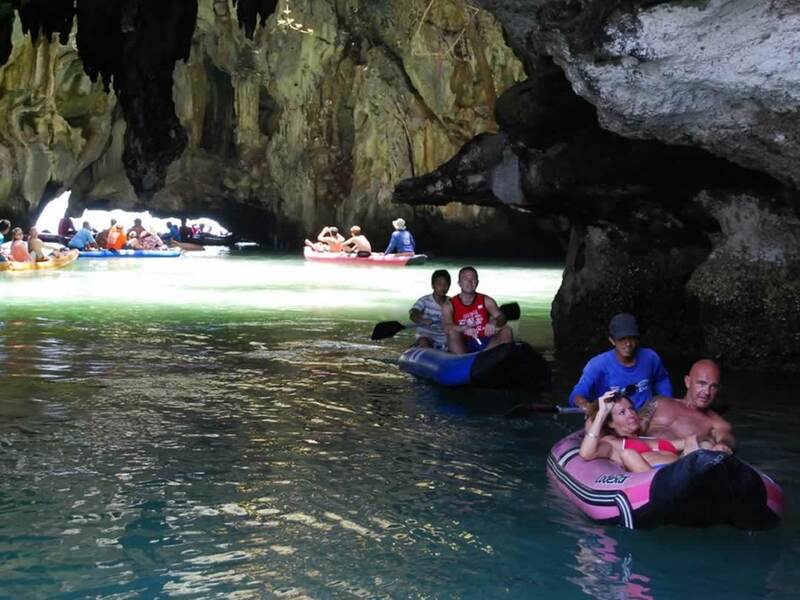 A budget tour from Krabi to explore the highlights of the beautiful & popular Phang Nga Bay. 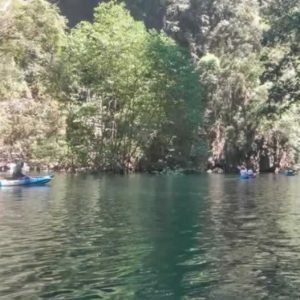 Sea canoeing through Phang Nga Bays caves & mangrove lagoons. Visit at Wat Suwan Kuha (Monkey Temple). Return hotel transfers by air con mini bus from your Krabi Hotel! Delicious Thai set menu lunch at Koh Panyee Fishing Village. Sea transfers by traditional Thai longtail boat. National Park Fees at James Bond Island. 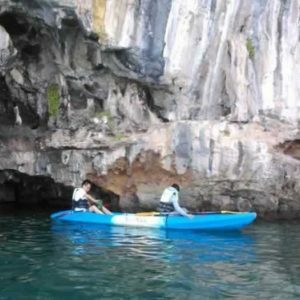 Sea canoeing with experienced canoeing guide. 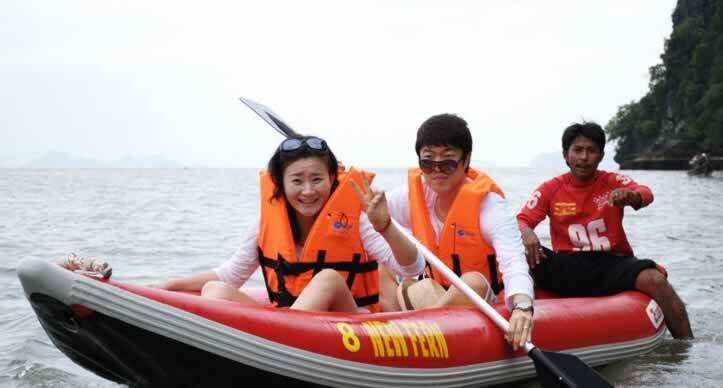 Accident insurance, life jackets, and experienced English speaking tour guides! 08.30 – Pick up and transfer by air-conditioned vehicle to Sam Chong Pier. 10.00 – Visit at the Lungkhai Fruit Garden to test seasonal Thai Fruits Thai Desert. 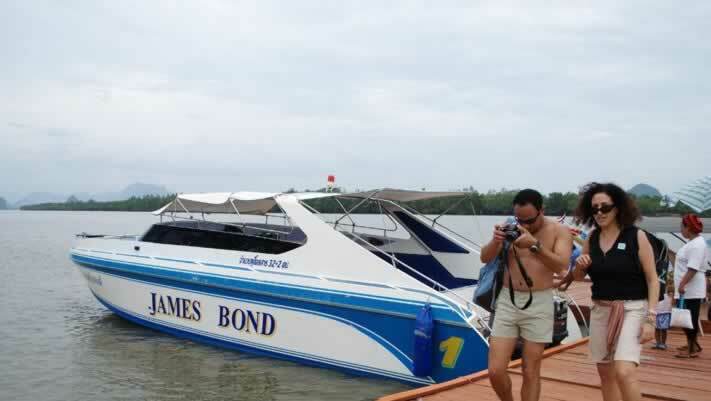 11.30 – Depart from Sam Chong pier, the start of your tour into Phang Nga Bay By Longtailboat Or Speedboat. 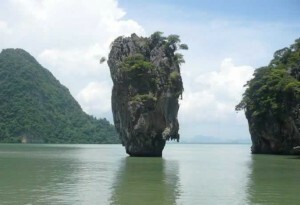 12.00 – Arrive at Phang Nga Bay’s famous James Bond Island for sightseeing. 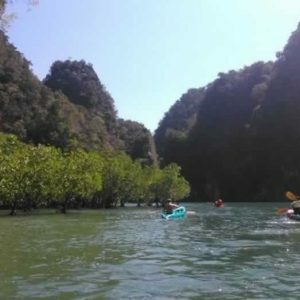 14.00 – Sea Canoe along the Mangrove Forest at Tam Lot Cave. 15.30 – Visit at Wat Suwan Kuha Temple (The Monkey cave). 16.30 – Departure from Phang Nga to Krabi. 17.30 – Back at your Krabi hotel. 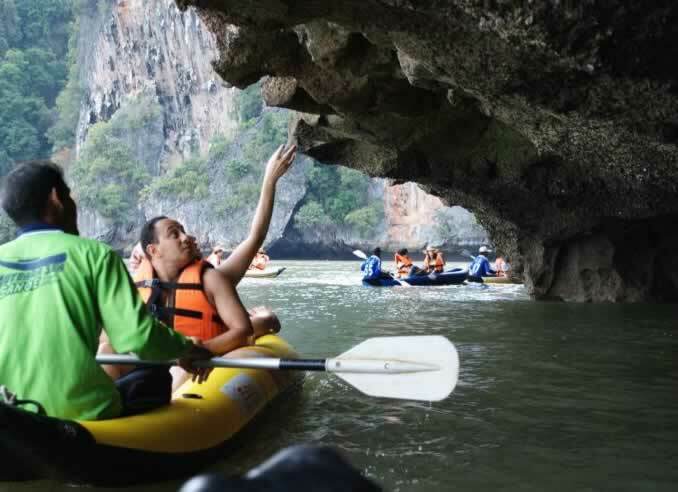 * Above Krabi Tour program & timing may be subject to change depending on suitability, tide, sea & weather conditions. Images collection of pictures taken on Phang Nga Sea Canoe Trip. Like to see some of your images on our website? Please send a copy to us. We always happy for feedback from our guests.